“Saw Palmetto is traditionally used in herbal medicine to help relieve the urologic symptoms (e.g. weak urine flow, incomplete voiding, frequent daytime and nighttime urination) associated with mild to moderate medically diagnosed benign prostatic hyperplasia”. This conflates the “traditional use” of a herb with a “scientific medical diagnosis” (benign prostatic hypertrophy (BPH)). This is especially inappropriate because scientific studies on the herb in question (Saw Palmetto) have shown that this herb is no more effective than a placebo in relieving urinary tract symptoms caused by prostate enlargement. These studies include a Cochrane review and a 2011 NIH-funded study that tested saw palmetto in amounts up to three times the usual dose. The lycopene component (not mentioned in the approval or the ARTG Public Summary) also lacks evidence of efficacy for BPH. Presumably the “Tomato Pill Company” asked the TGA for a “traditional use” advertising exemption because they knew that “scientific” claims cannot be substantiated! A similar strategy has been observed in the list of over 1000 “traditional” permitted indications submitted by industry and approved by the TGA. This provides the “Tomato Pill Company” (and others) with numerous “Get Out of Jail Free cards”. “If you are aware that there is conflicting evidence between the history of traditional use and contemporary scientific evidence for your medicine, then it is advisable to include a statement to this effect in any labelling and advertising associated with the medicine, for example: ‘this traditional use is not supported by scientific evidence’. This will ensure that the advertised information relating to your medicine is truthful, valid and not misleading”. Yet, the Delegate has approved a misleading and deceptive restricted representation. And this is not the first time!! Which is why many stakeholders have lost confidence in the TGA’s ability to operate in isolation, without advice from the soon-to-be-abolished TGACC & TGACRP. A complaint has been submitted to both the TGA (from which we never hear the outcome) and the TGACRP (who at least provide a public determination). See also: Submissions to TGA on “regulatory reform”. In the latter, the TGA spokeswoman said, “Other medicines and device regulators internationally also are fully or significantly funded by industry fees. This takes the burden off the taxpayer”. First, this statement is disingenuous. Regardless of whether the regulator is funded by industry fees or the government, the consumer pays, either through higher prices on therapeutic goods or increased taxation. Second, even for U.S. FDA industry fees only account for around a quarter of all FDA funding. In summary: the benefits of industry funding are that the regulator is not constrained by cut-backs in government budgets, efficiency dividends and other constraints. It is easier to increase industry fees to deal with new regulatory initiatives, such as those currently proposed by the TGA for complementary medicine and advertising reform, than to obtain increased government allocations. The downside is that industry has a greater say in how its fees are used and there is an increased risk of regulatory capture. For example, industry is likely to support measures to register new drugs and devices drugs faster but will not be so enthusiastic to support increased post-marketing surveillance and the imposition of more effective sanctions for regulatory violations. I suggest that several regulatory decisions by the TGA of late support concerns about regulatory capture. 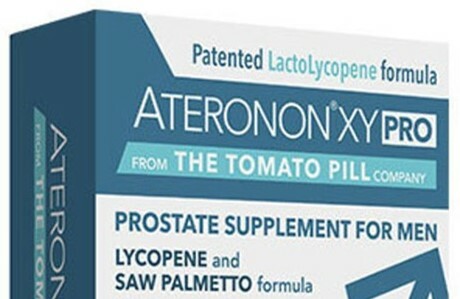 What other explanation, apart from “too close to industry”, is there for the TGA approving restricted representation for the advertising of products such as Ateronon XY Pro (above), Homeopathic restless legs relief, etc.? Hopefully, these matters will be debated in the Senate when the Therapeutic Goods Amendment (2017 Measures No. 1) Bill 2017 is referred to the Senate Standing Committees on Community Affairs. This entry was posted in Complementary medicine, Natural Therapies, Pharmaceutical Promotion and tagged AHPRA, Ateronon XY Pro; Go Vita; Restricted representation approval; traditional use; s.133 National Law, Complaint Resolution Panel, Dr Ross Walker, Senate Standing Committees on Community Affairs, TGA, TGA funding, TGACC, Therapeutic Goods Advertising Code, Therapeutic Goods Amendment (2017 Measures No. 1) Bill 2017, Tomato Pill Company. Bookmark the permalink. Obviously the safety of the public is the least of the TGA’s priorities.